Tuesday was a night of political guests for The Late Show, as Republican frontrunner Donald Trump and U.S. Secretary of Energy Dr. Ernest Moniz guested on the late-night talk show. But even the final musical performance got political when rapper Raury called out Trump by crossing out his name on his Mexico jersey. The 19-year-old wore the politicized garb while performing his song "Devil's Whisper," and it was a move that even seemed to surprise Stephen Colbert, who's no stranger to challenging the outspoken Republican. Backstage before the show's taping, Raury told VICE News he wanted to make a statement after he learned he would appear the same night as the Republican. That statement would be a bright green Mexico soccer jersey with the name Trump on the back, only the famous surname was crossed out with a giant red X. "Trump embodies separation, solving problems with anger, fear, and personal differences," Raury told VICE News. "I'm all about the opposite, about being inclusive and open." 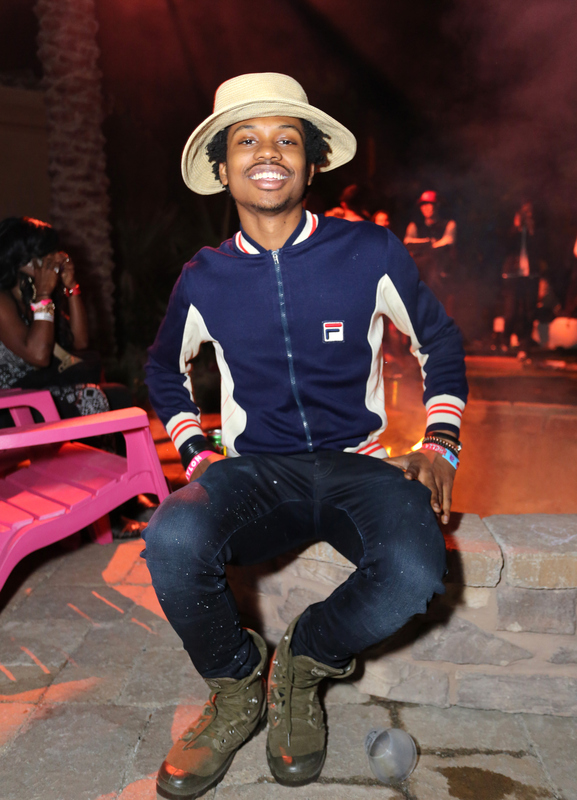 When Raury turned around to show his back during his performance, the in-studio audience erupted in cheers. The Atlanta rapper also gifted Colbert his own Mexico jersey at the end of the episode, only the shirt had the name "Colbert" sans the red pen. According to VICE News, Trump could not respond to Raury's stance having left before the performance took place. After the performance aired, Raury tweeted, "I got love for my Hispanic community I stand with all people in times of oppression," likely in direct response to Trump's troubling remarks about Mexican immigrants. Twitter also applauded the bold gesture, with many saying Raury won new fans for his music and statement. And Trump's name wasn't the only thing Raury took that night. From start to finish, The Late Show on Tuesday was a must-watch Trump roast. And as Trump continues to reach out to Americans for their vote, maybe everyone will soon turn their backs on Trump.